There was confusion in the Kaduna metropolis on Thursday, following the arraignment of the leader of the Islamic Movement in Nigeria, aka Shi’ites, Sheikh Ibrahim El-Zakzaky, and wife, Zeena, before the state high court. El-Zakzaky, Zeena, and their co-defendants were, however, absent from the court on Thursday. Justice Gideon Kurada adjourned till October 4, 2018, to rule on the bail applications filed by the defendants. Just like they did during the previous hearings in the case, the police and other security operatives barricaded the major roads in the heart of the city, particularly the Ahmadu Bello Way, the commercial nerve centre of the state. The development hindered free movement of residents and commercial activities were almost paralysed, just as banks were temporally shut down, due to the heavy presence of security operatives. Sounds of gunshots were heard along the Ahmadu Bello Way and Jos Road where newspaper vendors, newspaper agents and circulation officers of the various newspapers gathered for the daily distributions of newspapers. Our correspondent gathered that the circulation officer of Vanguard Newspapers in Kaduna, Clement Olajide, escaped death by a whisker. It was learnt that security operatives deployed to enforce law and order around the area shot at his car while the circulation officer was distributing newspapers. During the two previous hearings in the case, policemen and members of the Shi’ite sect clashed in the metropolis. One policeman reportedly died during one of the clashes. As of the time of filing this report on Thursday evening, the major roads leading to the court and other adjourning routes were still barricaded. 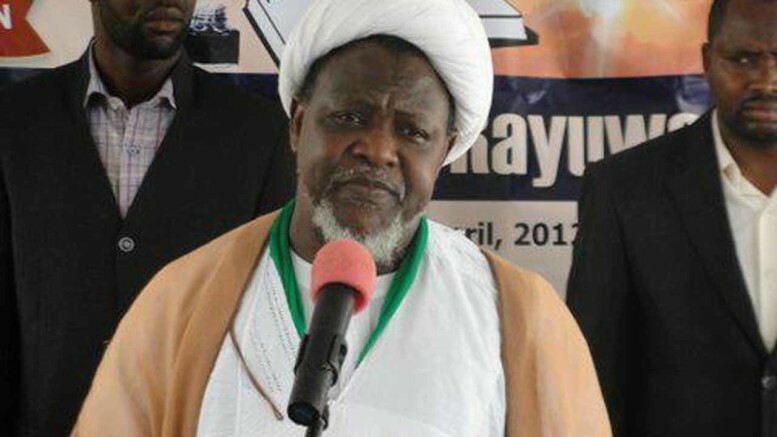 The IMN leader, his wife and two others were charged with conspiracy, culpable homicide among others by the Kaduna State Government. Be the first to comment on "Police Lock Down Kaduna for El-Zakzaky’s Trial"